« Hoverboard with Anti-gravity Technology? Sacha Stone attempted to make a big historical announcement regarding a new FREE ENERGY Generator called QT-PI, in April 2017. Is a free energy device possible? The device from Sacha stone consists of 2 copper coils and a high-frequency generator. He claims the device puts out more electrical current than it consumes. It plugs into your standard house electricity all while the power gets amplified over 300% – or so he says. This sounds totally amazing, if true. Sacha’s engineer Fredrik Stimmel says all the materials are completely off the shelf, since using copper and a 3D Printer. Sacha says that market entry with governments are already in process of negotiations, hence they are helping to get it out to the people. An honest mistake or an overt scam? A small demonstration of why this is not an over-unity device with more current output than input. 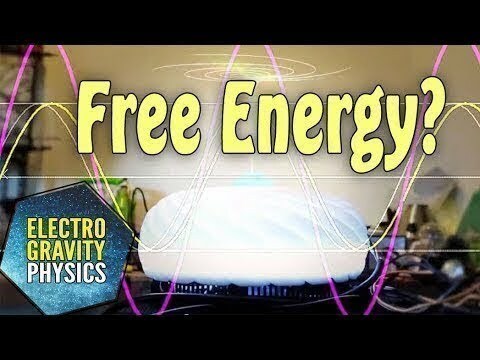 Sacha Stone claims he has free energy technology. Sacha Stone with the public announcement in Bali. Steps to correctly measure electric power. High-frequency transformers like the QT-Pi consequently may cause problems with measurement frequency limits. Burning a match is an over-unity energy device. UFO: It is Official - We May Not be Alone!